“Join a Class” Booking Option, Teacher Bios, and More New Updates! You can now allow prospective and existing clients to join open classes directly from your website. Simply schedule an open class in the calendar and make sure that your Website Booking Plugin is configured to include the option. 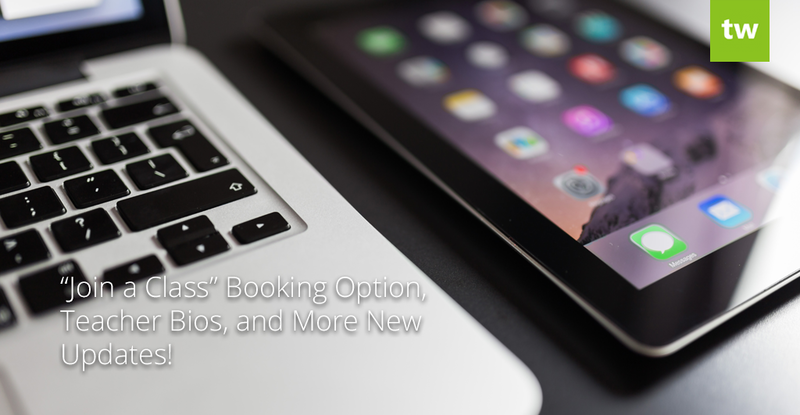 Once the booking button is embedded on your website, clients can easily click on it, search for open classes that match their schedule, and join in. We’ve added a bio field to teacher and staff profiles. 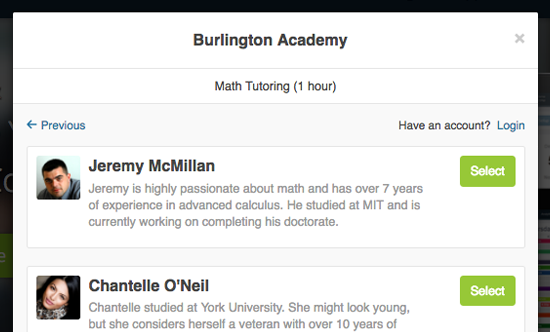 If you’re using the “Book a Lesson” option of our Website Booking Plugin, you can easily include teacher bios on the “select a teacher” step of the booking process. Providing prospective clients with more information about your teachers will make them feel more at ease and they might be more likely to book a lesson with you. We’ve also added a “Bio” column to the employee import template, allowing you to quickly update the bio field for all of your employees. If you’re using the Online Booking Plugin, and a child student has accidentally left out the family information when booking a lesson, you can easily merge the independent student profile into a child profile. We have fine tuned scheduling even more. If a student has a default teacher, location, and service assigned to their profile, these fields will be pre-filled when the student is selected on the “Schedule Lessons” page. We’ve added “overscheduled” and “overused” columns to the package balances table, making it much easier to see overages at a single glance.